The victims of serious physical injuries are not always adults involved in traffic collisions. Children of all ages get hurt too and not just skinned knees from recess. Unfortunately, inexcusable injuries occur on school grounds all the time and responsibility for these injuries may fall onto the shoulders of the school. Negligent school districts can be sued for unchecked bullying, dangerous playground equipment, slips and falls from uneven or slippery surfaces, illnesses from toxic substances or food poisoning, and even negligent security measures that create risks of abduction, strong armed robbery, and assault. While at school, teachers and staff take on the responsibility of the children’s parents. This means that school is liable for hiring responsible adults, keeping children safe at all times, ensuring that enough staff is at hand to limit bullying and fights, and much more. It has always been a problem in schools, but in recent years severe bullying has led to more and more tragic suicides as victims are harassed not only at school, but at home online as well. As reported by Justice News Flash, the parents of a West Palm Beach seventh grade student filed a personal injury lawsuit against Jeaga Middle School. The lawsuit claimed that school supervisors failed to prevent bullying on the day that their son, who had been a target for bullies that entire year, was brutally attacked and hospitalized. The attack was later put on YouTube. Multiple teachers confirmed that fights more becoming more frequent and violent, while bullying has drastically increased in just a few years. Serious injuries also occur during routine participation in classroom exercises. According to KUTV News, a Utah student was injured while wearing drunken simulation goggles. 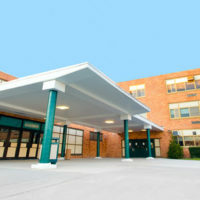 The health class teacher encouraged the students to play tag while wearing the drunken goggles, during which the 13-year-old student severely shattered her ankle in multiple places. The school district agreed to pay $100,000 to the girl’s family, most of which was placed in a trust. The mother of a Muscogee County School District student filed a $25 million lawsuit against the school district and seven other defendants, according to the Ledger Inquirer. Her then 13-year-old son was temporarily attending a school that was designed for students who had violated the school district’s behavioral code. During class, he asked to use the phone in the principal’s office to call his mother, but was denied by the assigned behavioral specialist, who body slammed the 13-year-old five times, breaking his leg. The injury was so severe that the boy’s leg had to be amputated.